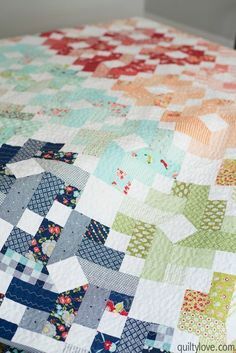 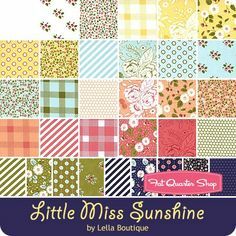 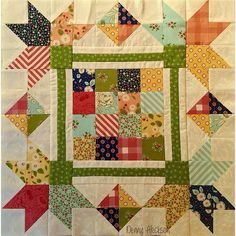 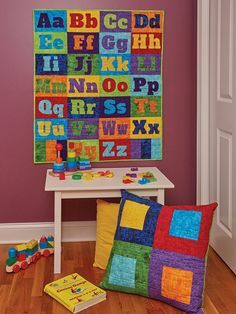 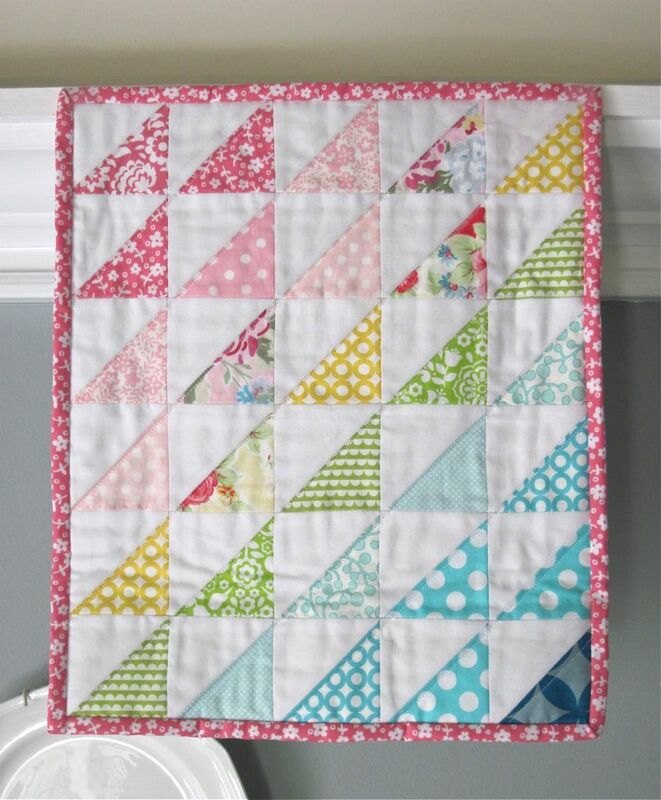 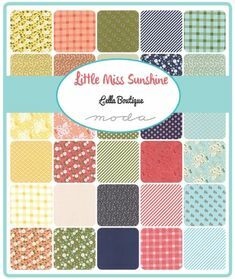 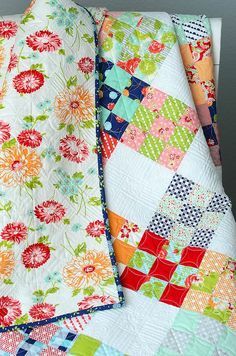 rainbow and sunshine doll quilt - I love how simple and fresh this looks. 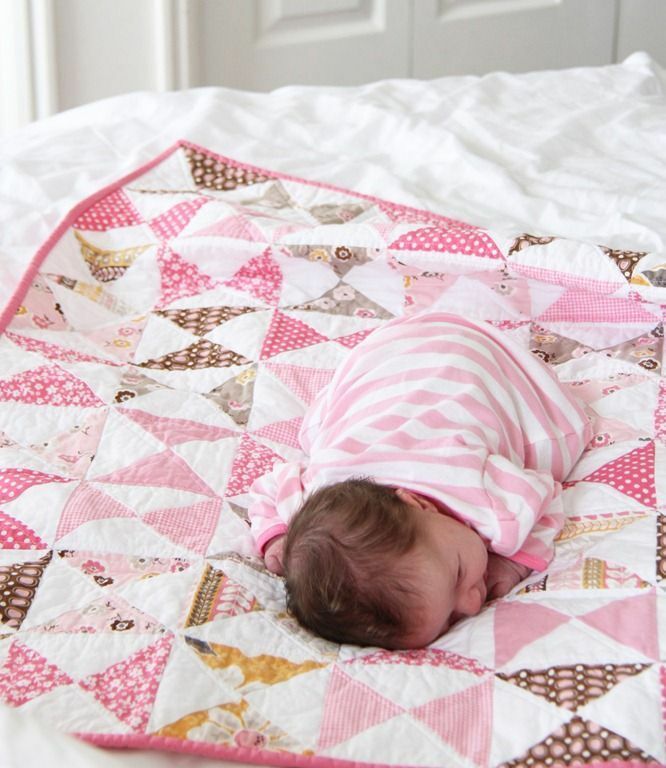 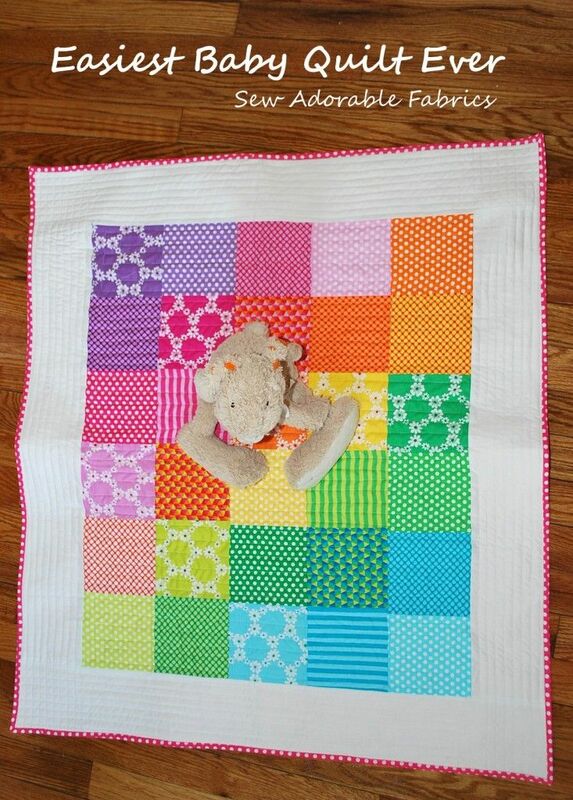 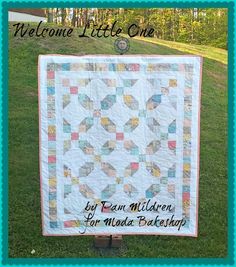 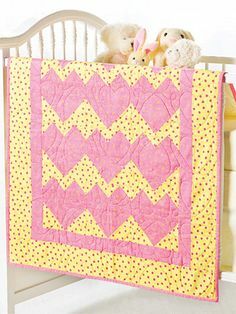 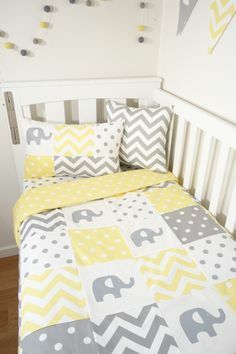 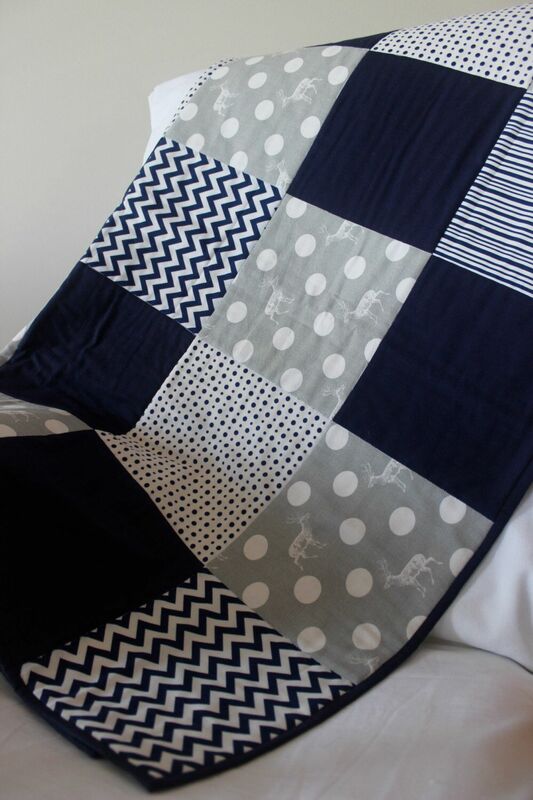 Baby quilt tutorial - perfect for using 5" charm squares. 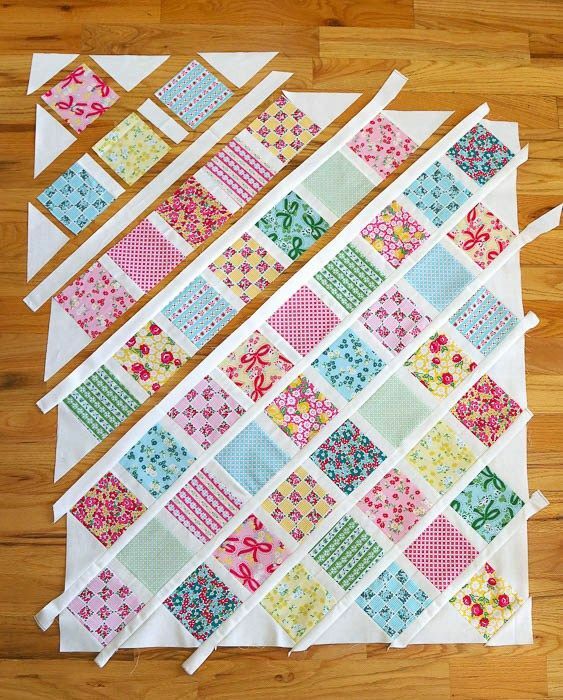 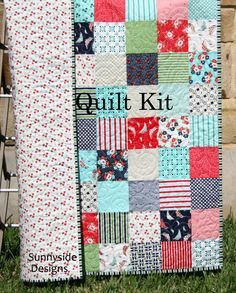 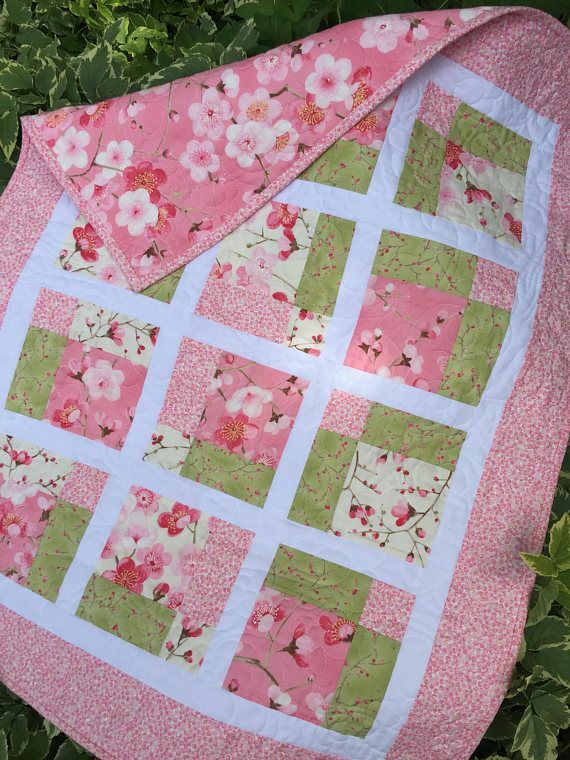 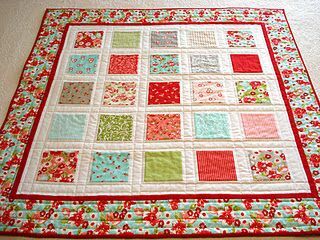 Learn a new quilting skill - how to sew together patchwork squares on point. 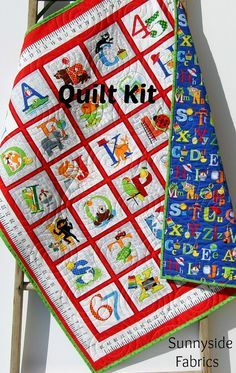 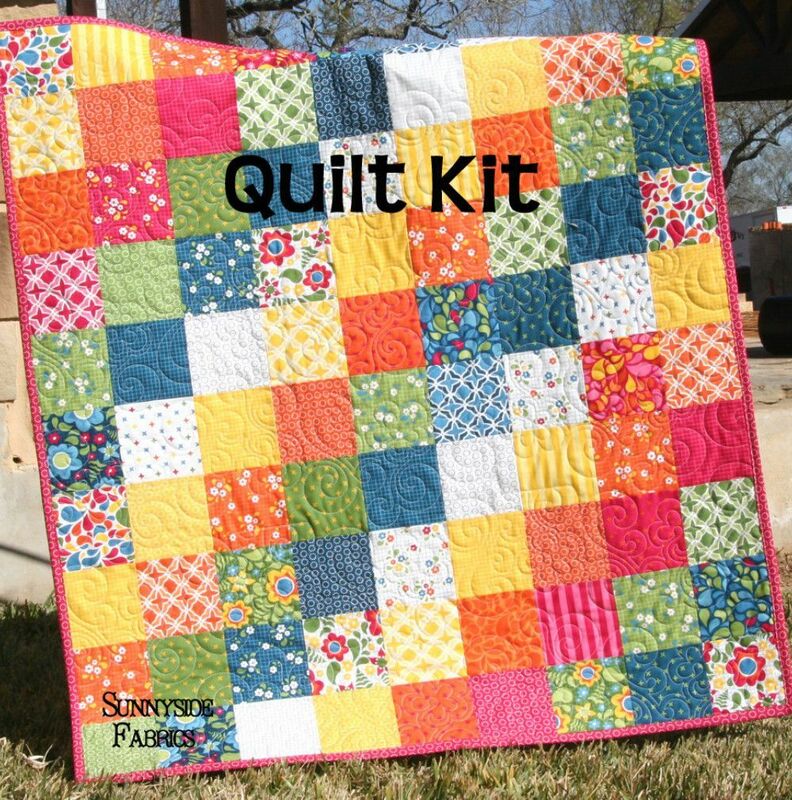 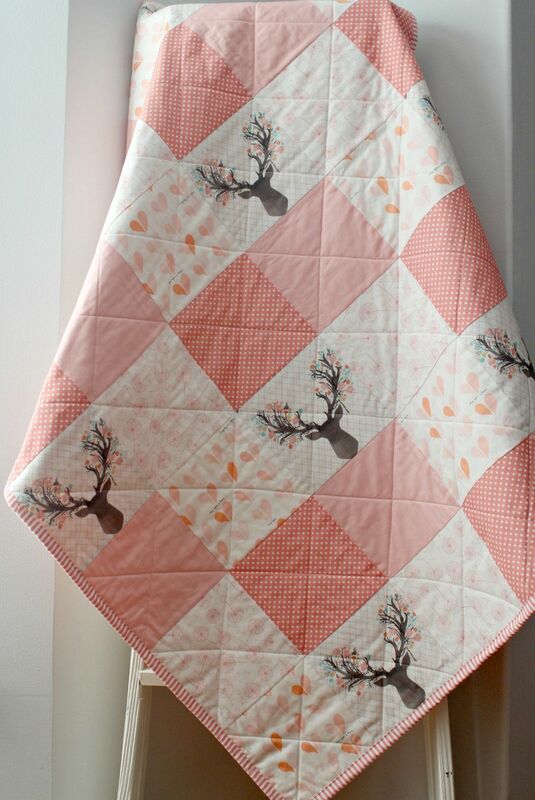 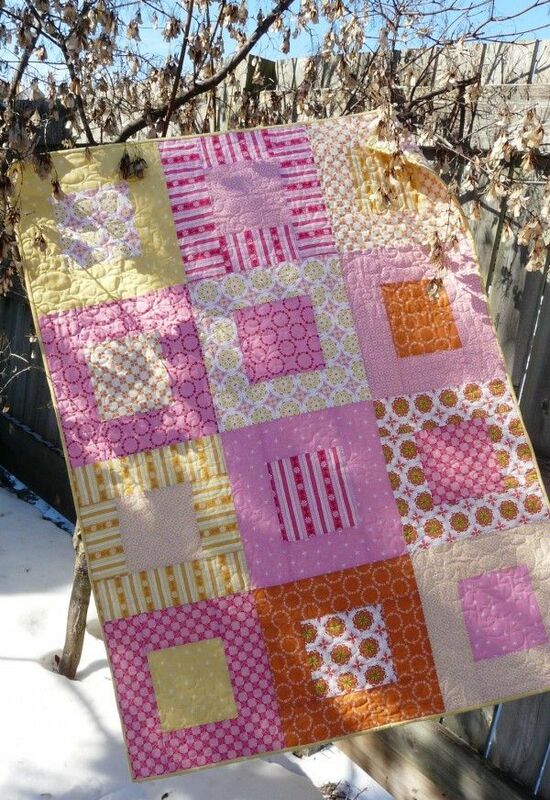 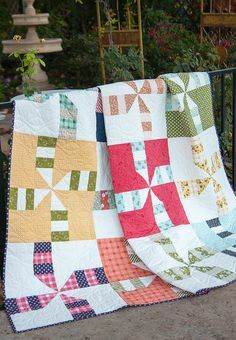 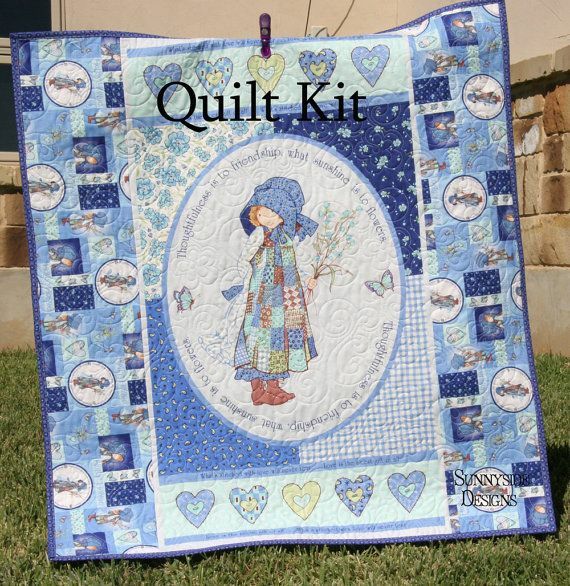 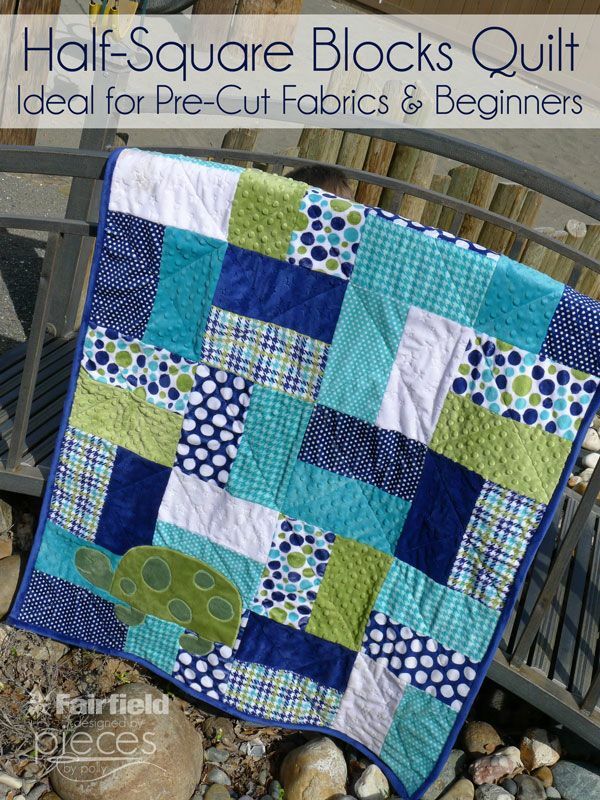 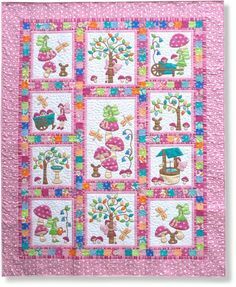 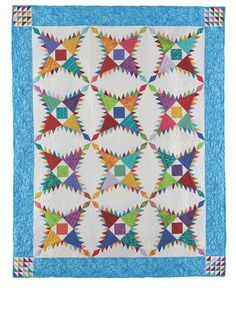 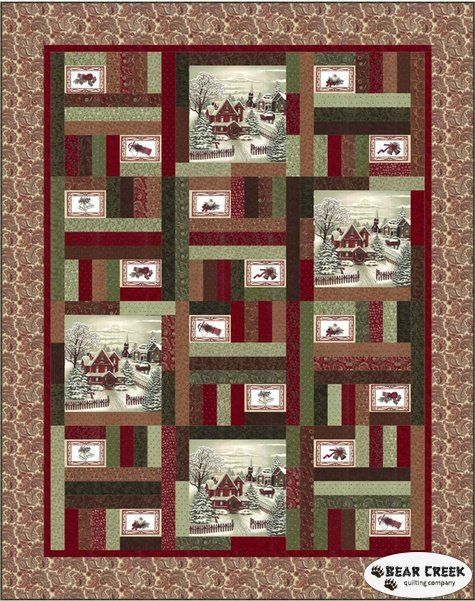 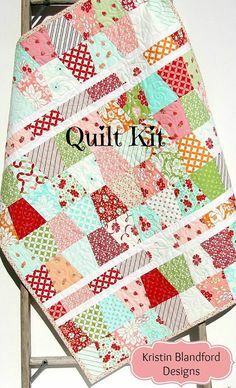 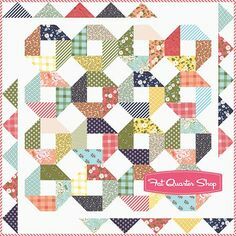 Traditional style Pine Burr pre-cut quilt kit made with fun bright colorful prints. 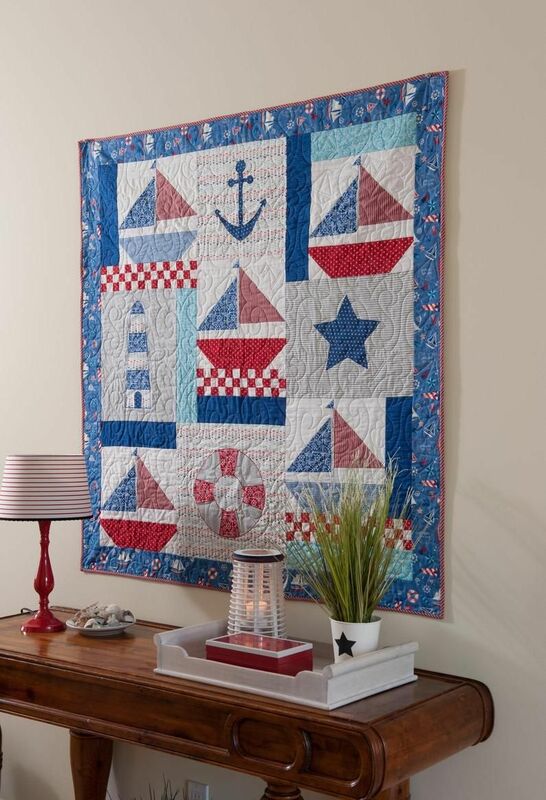 Nautical quilt as wall hanging. 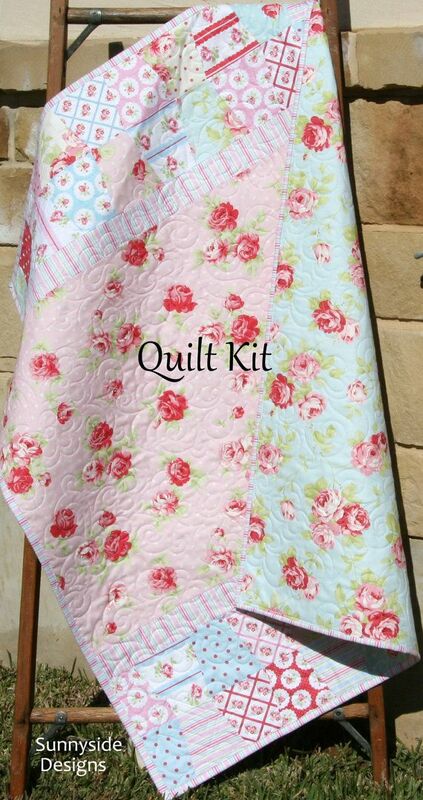 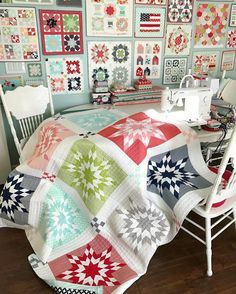 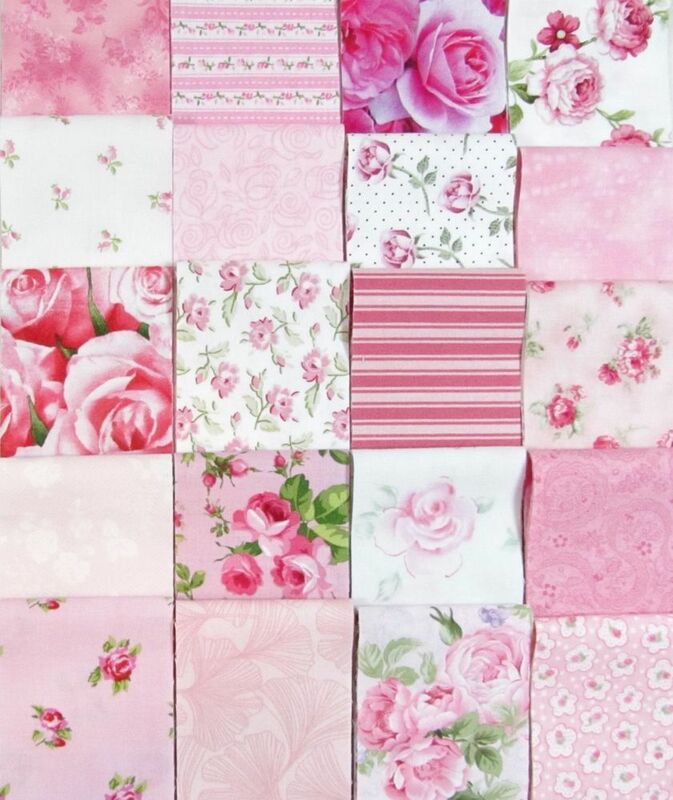 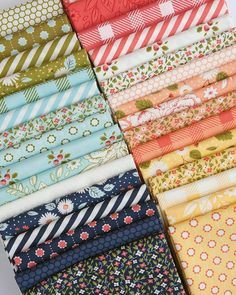 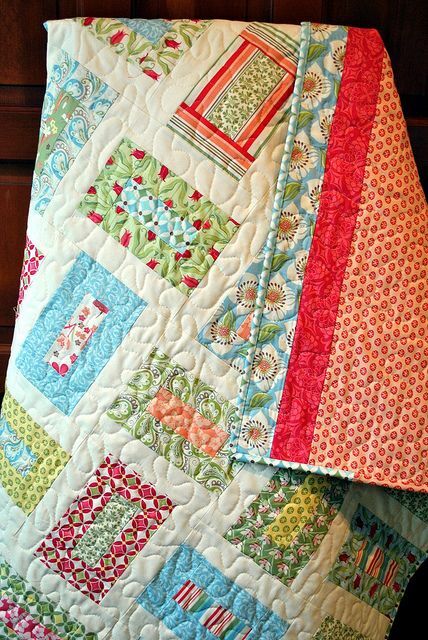 Looking for quilting project inspiration? 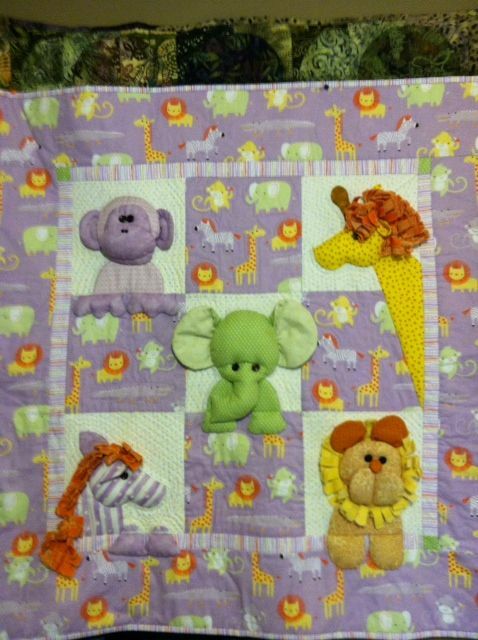 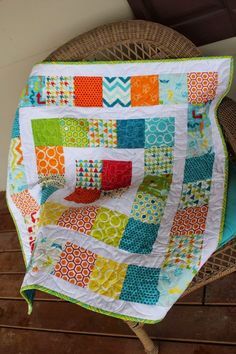 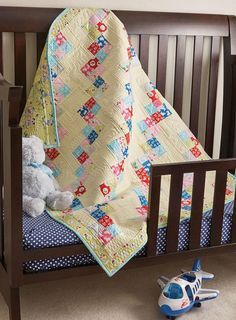 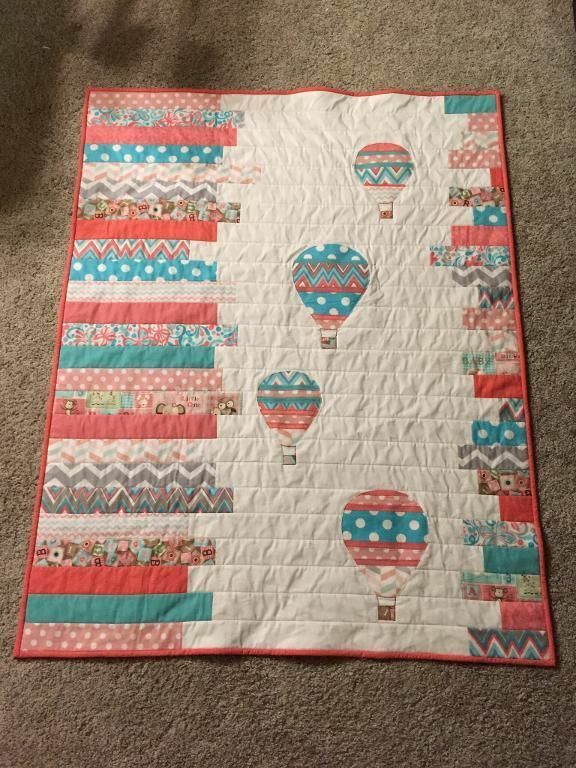 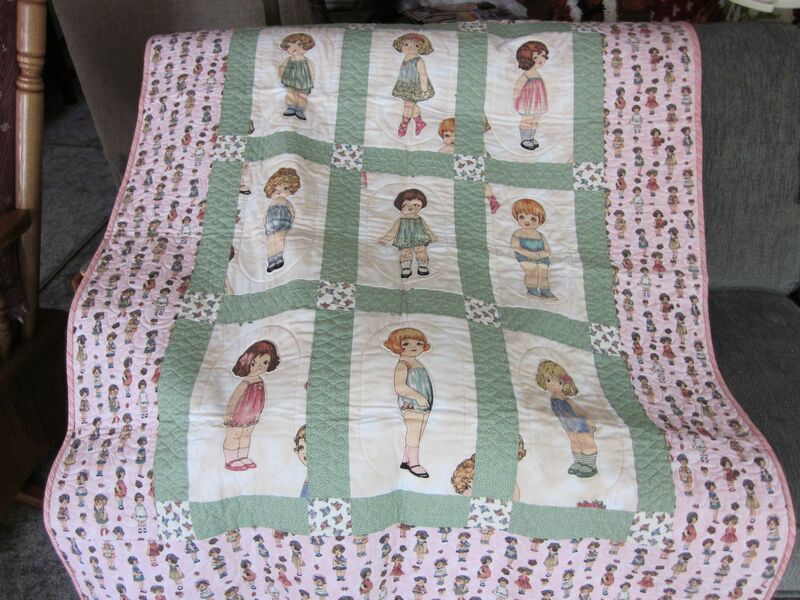 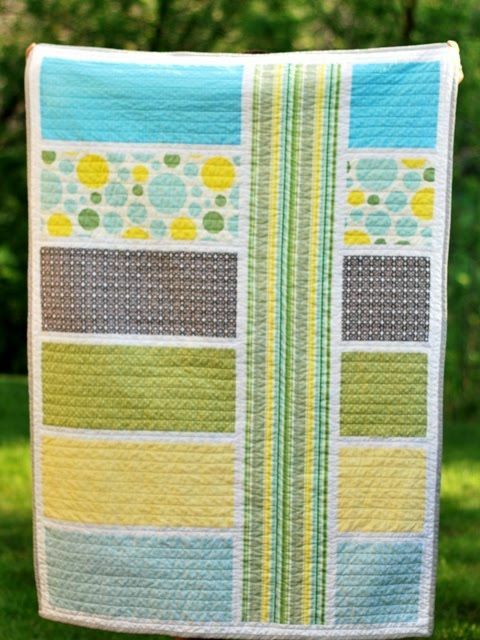 Check out Hot air balloons baby quilt by member Terri Saunders. 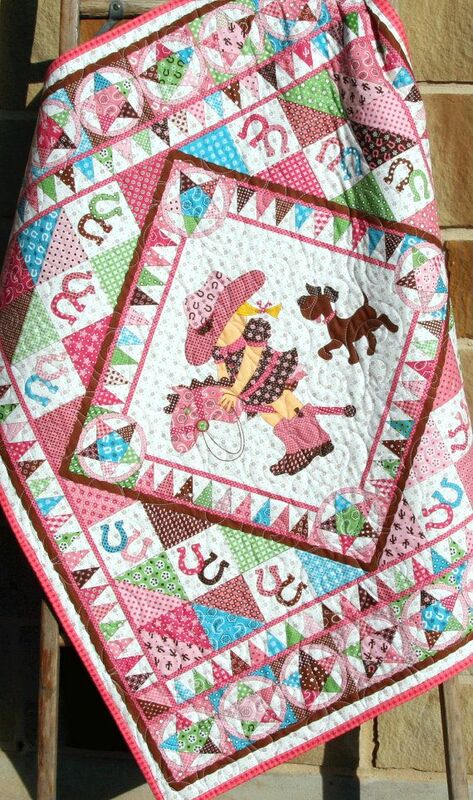 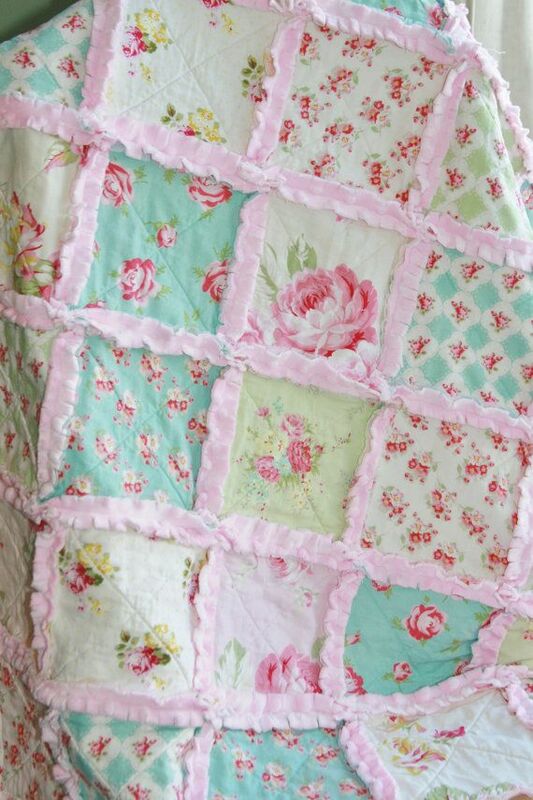 Rag quilt for baby girl. 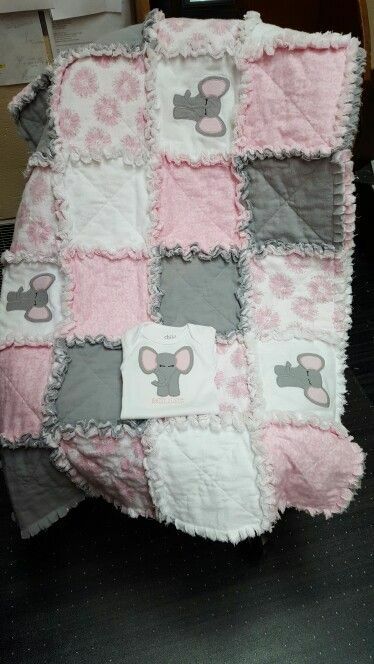 Pink, gray, and white with machine embroidery and matching onesie. 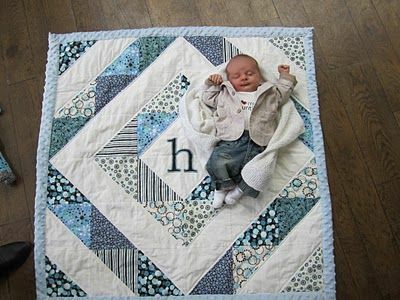 Photo only - for inspiration. 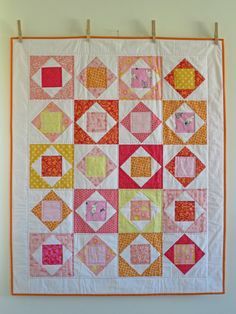 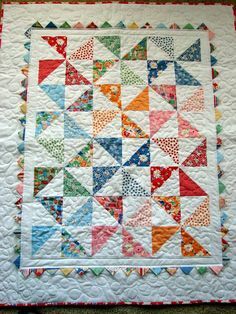 Simple quilt pattern; From each fat quarter cut 1 – 6½” square, 2 – 3½” x 6½” rectangles, and 2 – 3½” x 12½” rectangles. 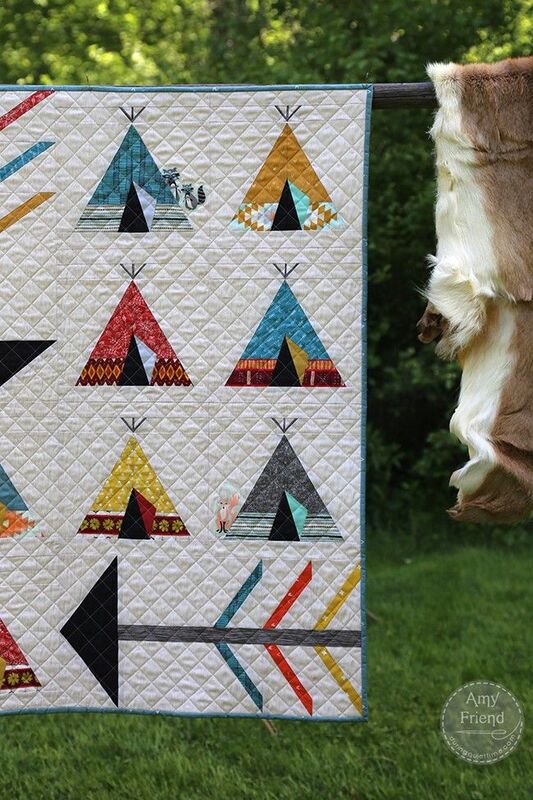 Laser-cut appliqué, signature quilts, and quilting cruises raise the bar at this southwestern Utah shop. 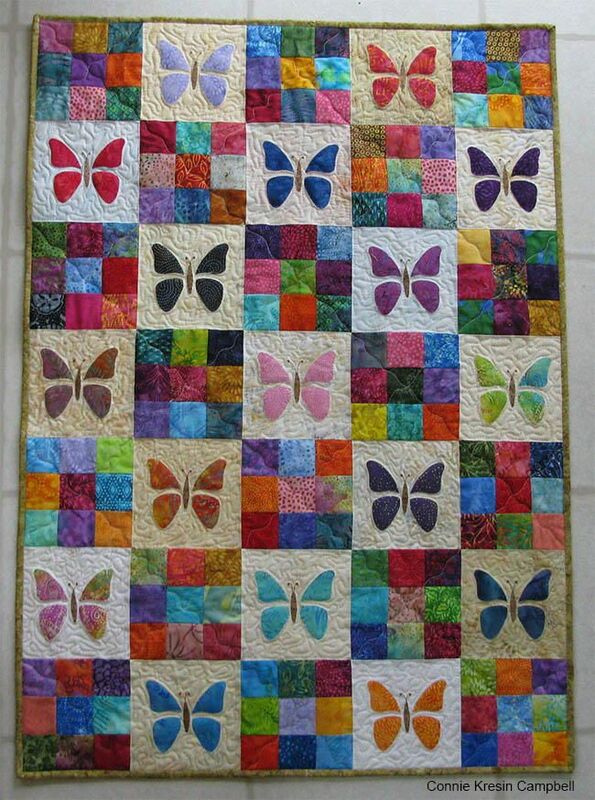 Baby quilt pattern BUTTERFLIES by www.blackmountainneedleworks.com. 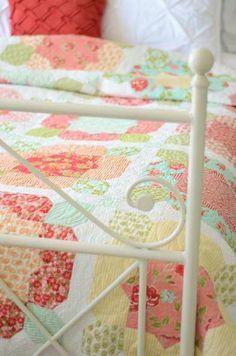 Easy and lovely. 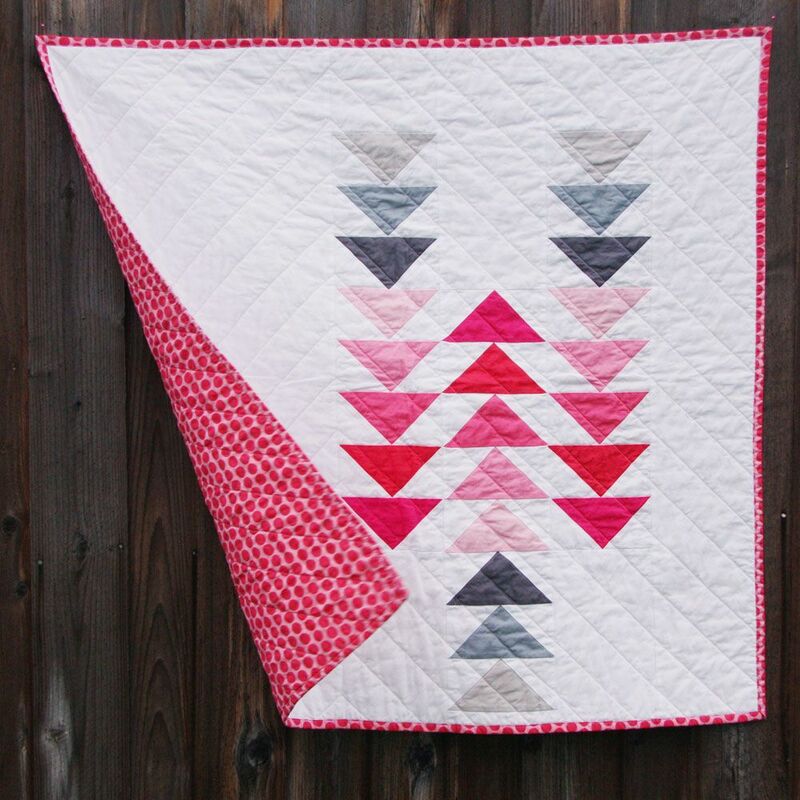 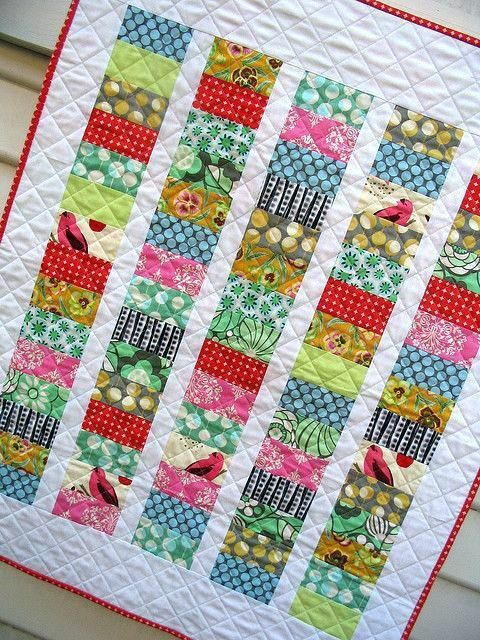 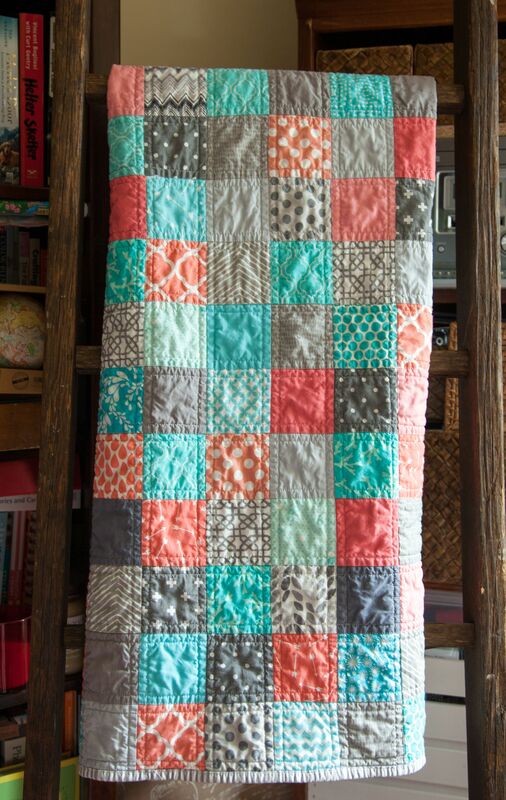 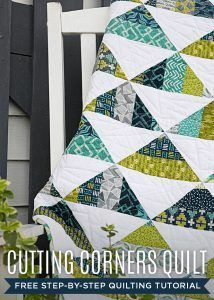 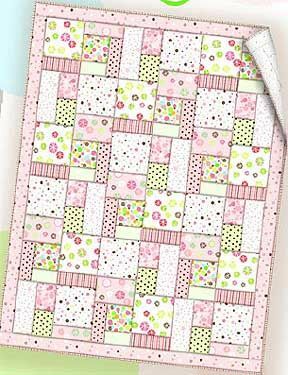 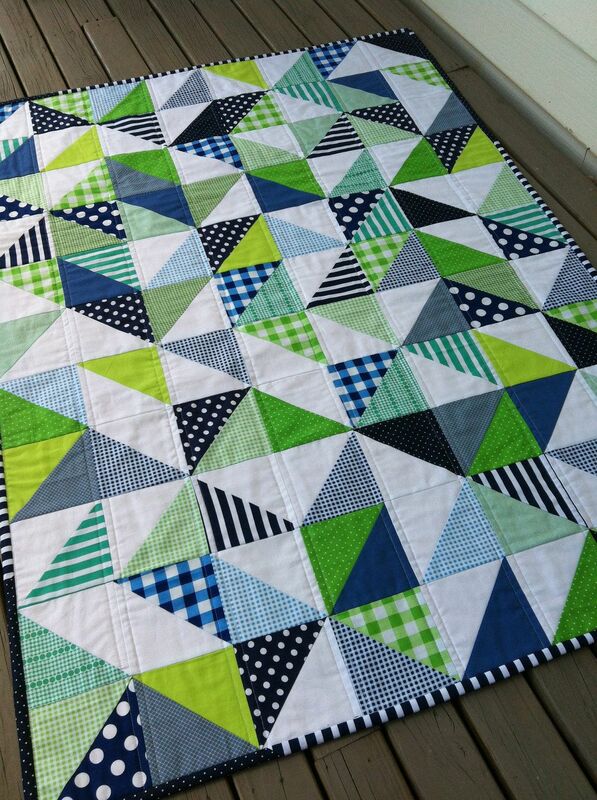 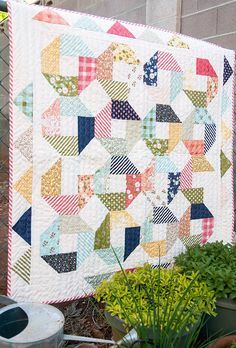 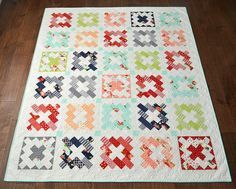 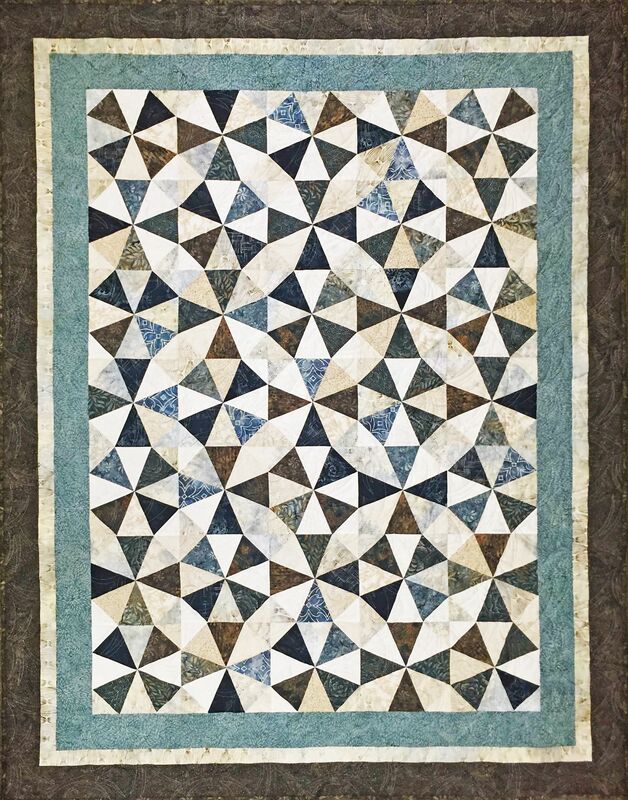 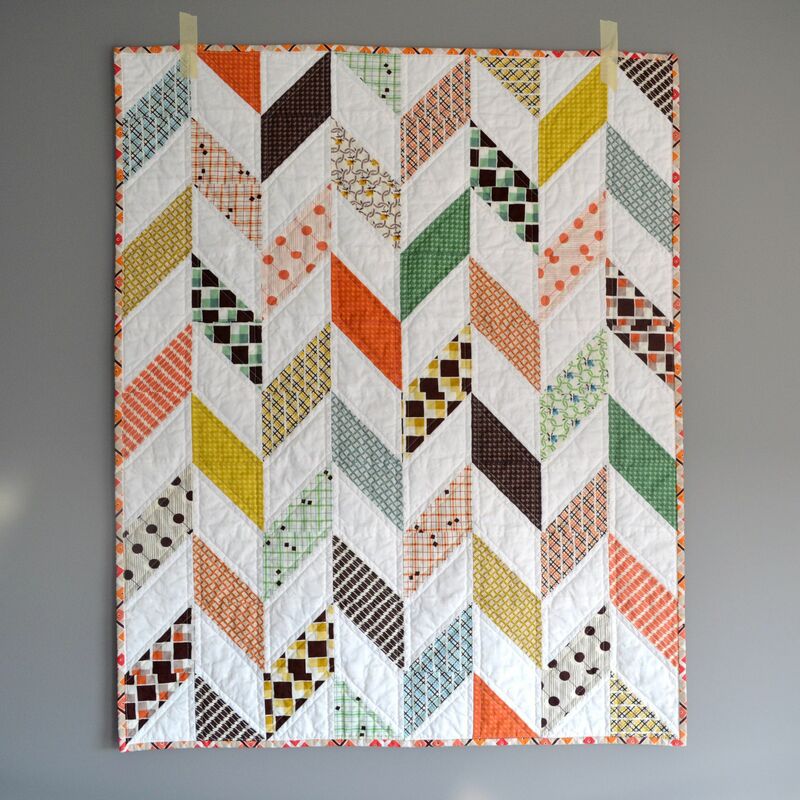 Make a Cutting Corners Quilt with Jenny Doan in her Free Video Tutorial! 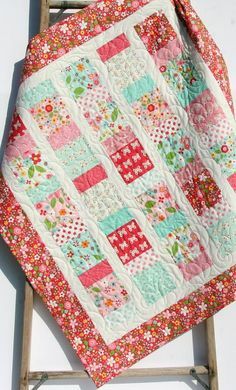 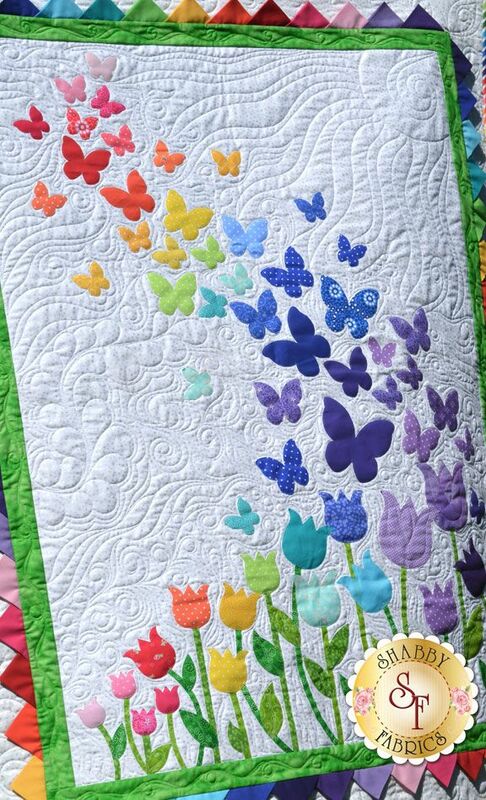 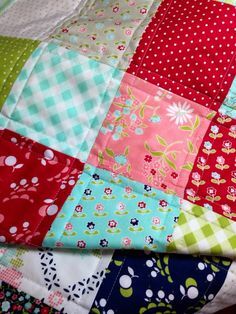 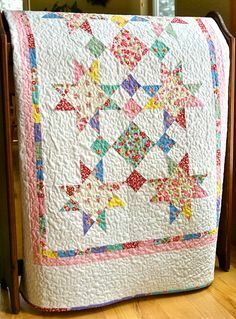 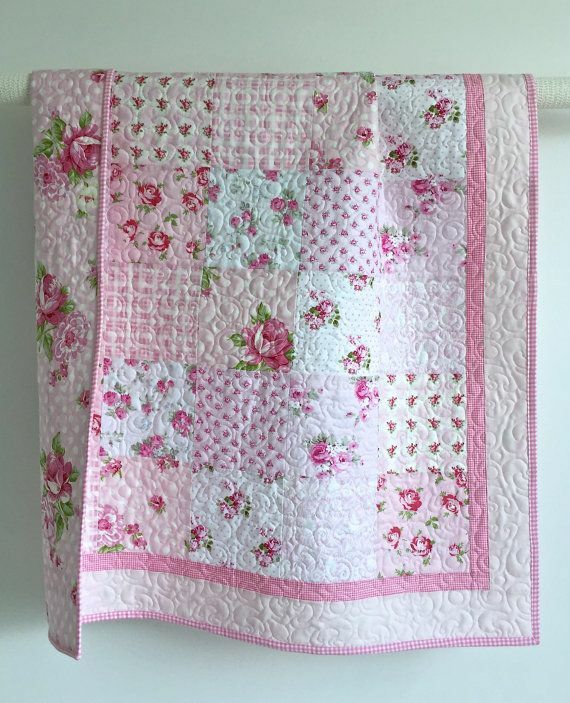 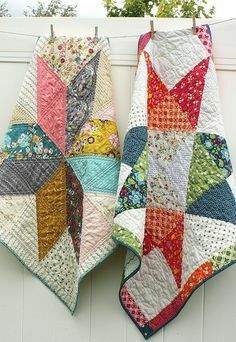 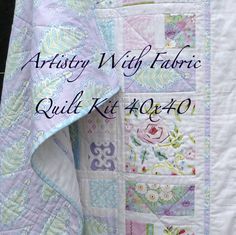 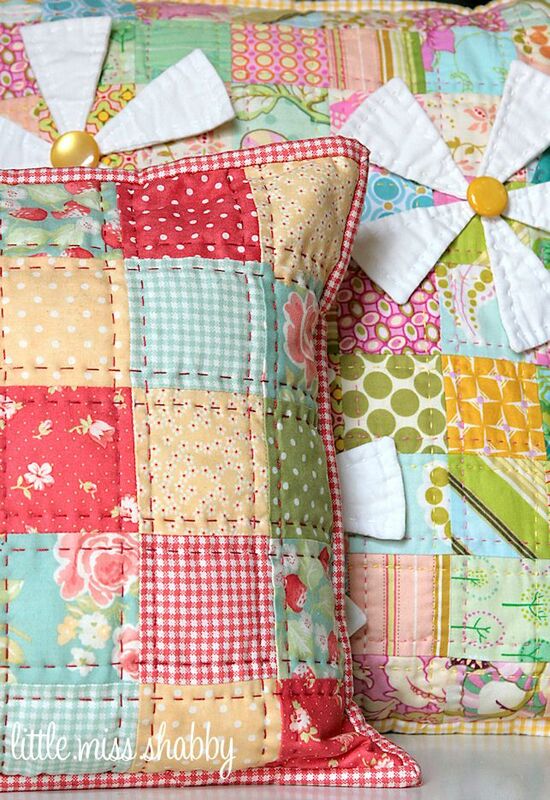 I love the hand quilting on the pillow but also love the 3D flowers on the background quilt. 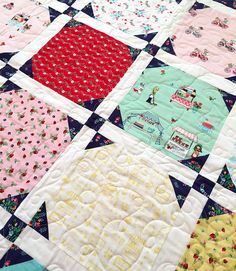 Little Miss Shabby does it again! 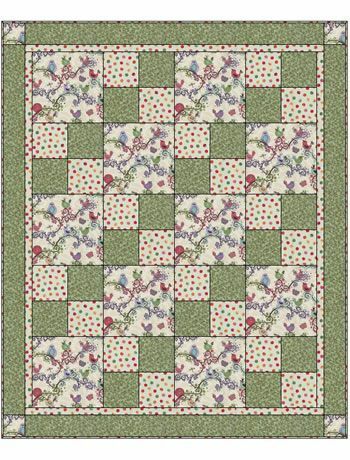 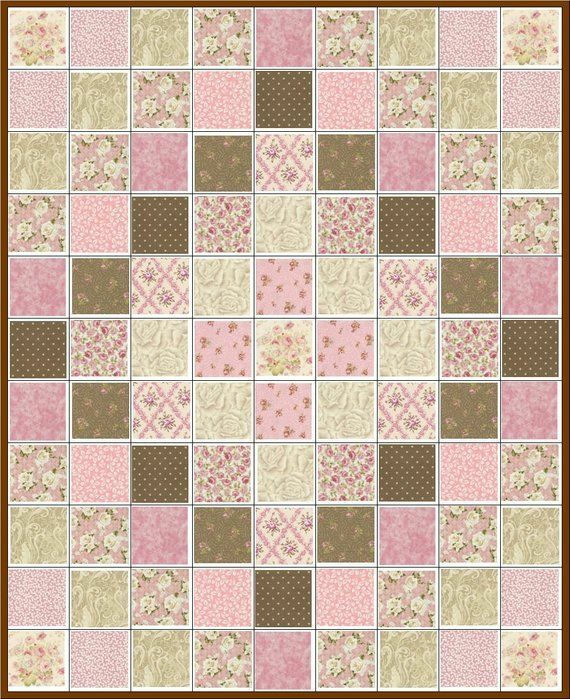 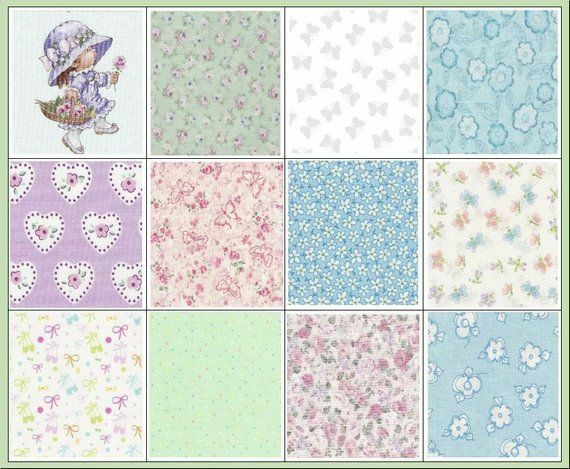 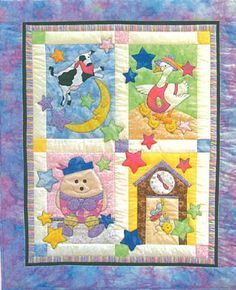 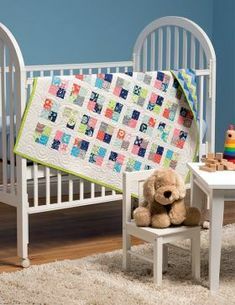 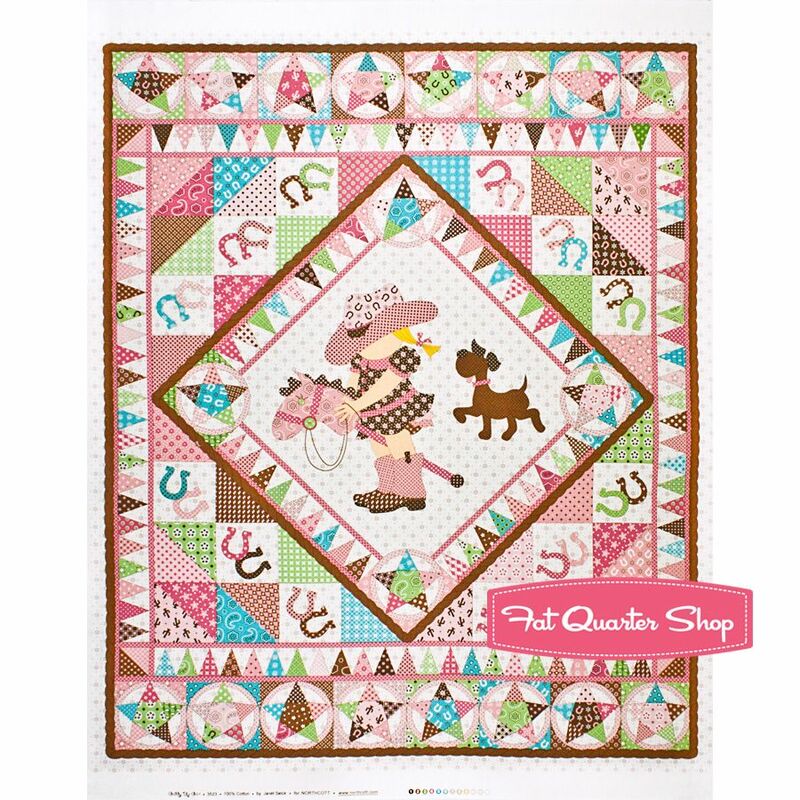 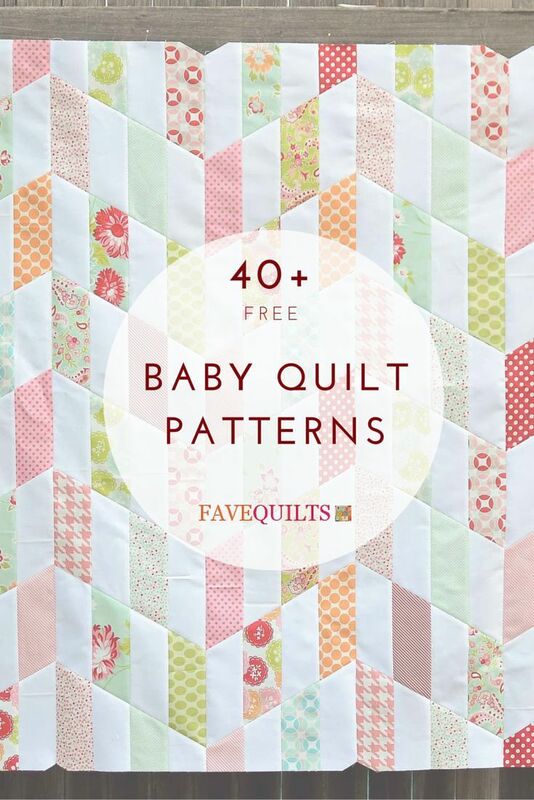 Windsor Court Baby Quilt Pattern | Journey to the English countryside with this baby quilt pattern! 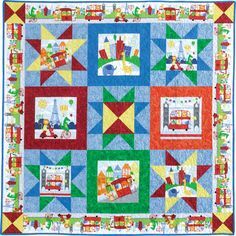 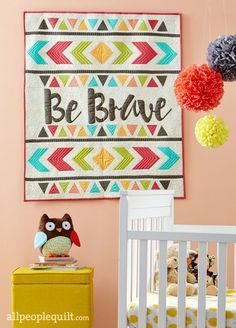 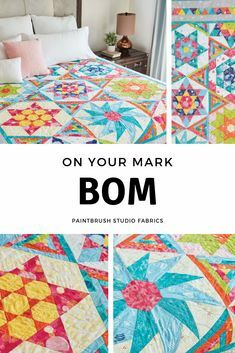 This cheerful block of the month quilt will add color to your home with fabric from the On Your Mark Collection by Paintbrush Studio. 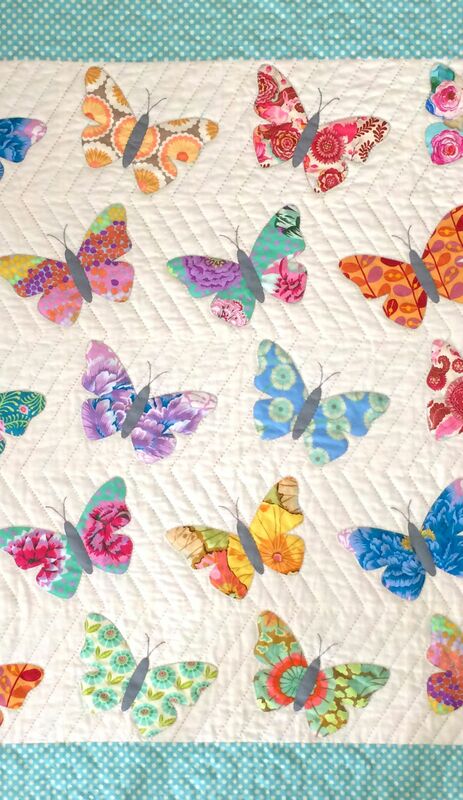 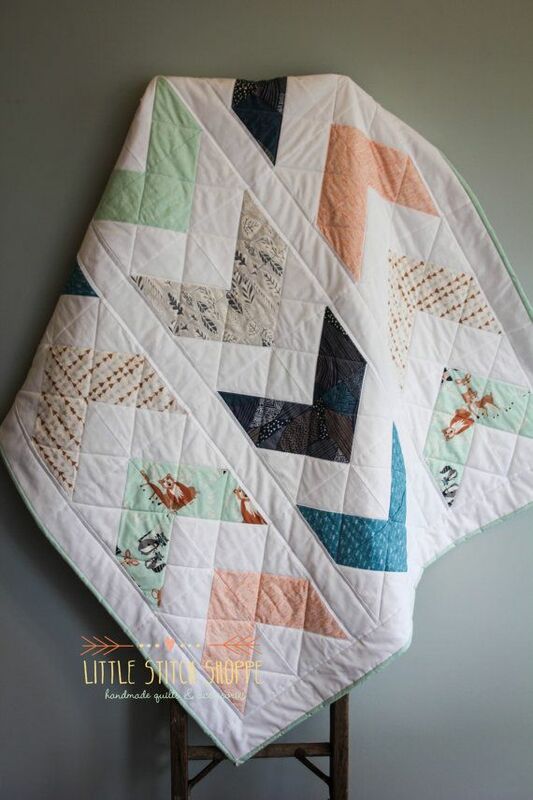 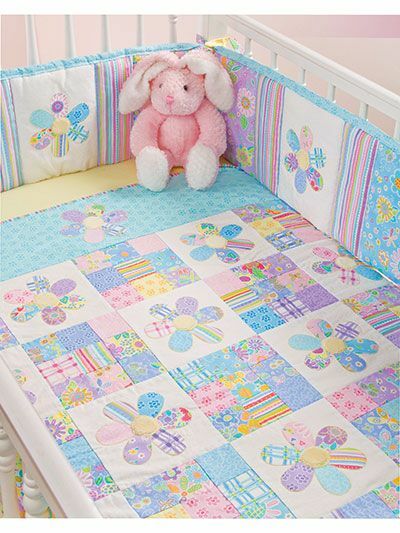 Scrappy Butterfly Baby Quilt Tutorial | Let your imagination take flight with this baby quilt! 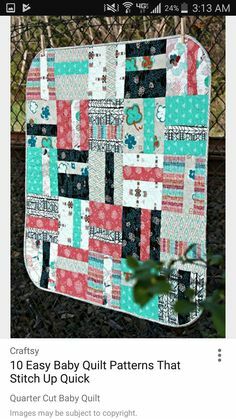 Stormy Bali Batik Roundabout Quilt - all pre-cut patchwork and borders come together in a neat kit! 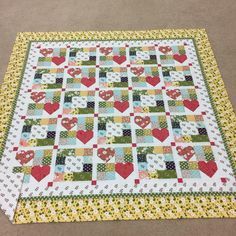 Precision cut by Jordan Fabrics in Grants Pass, Oregon. 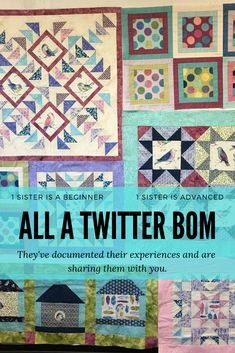 Sisters—one a beginner, one an experienced quilters—are making the same All A Twitter block of the month project while living in different states. 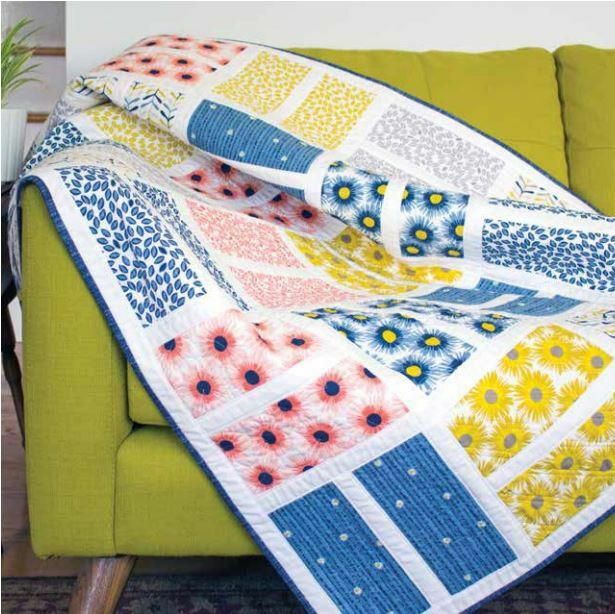 The My Tribe quilt seems to be one of the most popular quilts in my new book, Intentional Piecing. 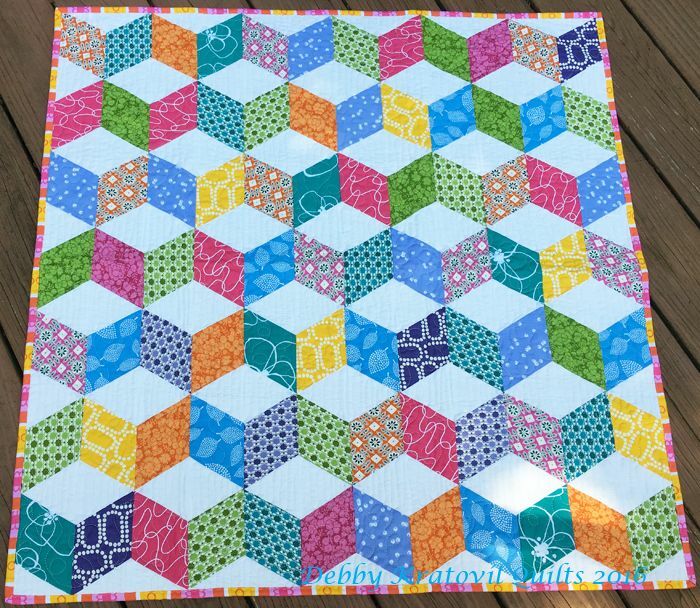 I have to say that I really enjoyed making it as well. 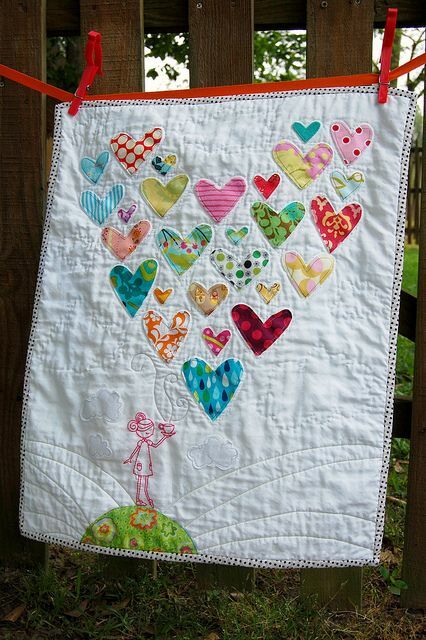 heart quilt from old baby clothes. 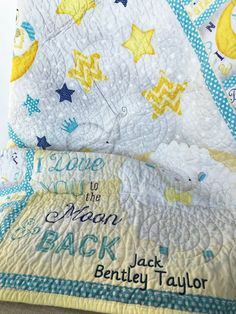 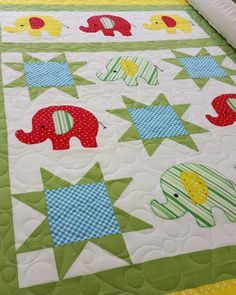 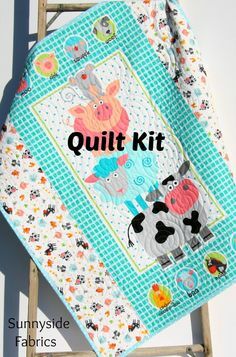 This is my favorite baby clothes quilt I've seen. 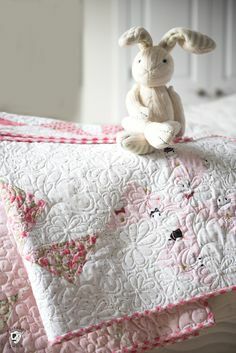 Cozy Nights pattern by Sweet Jane with Verna fabric by Kate Spain. 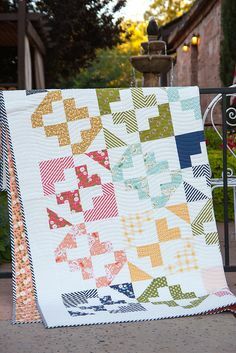 Love the scrappy colors!